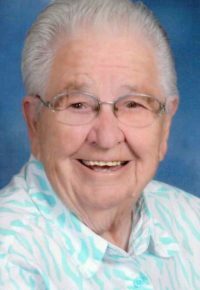 Beatrice ‘Bea’ McCoy, Rapid City, passed away Sunday, January 27, 2019, at the age of 92. She was born in Martin, SD on October 11, 1926 to Carel and Delia Blare. They later moved to the farm in Allen, SD. Bea married Grant McCoy on February 23, 1944 in Hastings, Nebraska. They lived in Igloo, SD until they made their final move to Rapid City. She enjoyed being a member of the Moose Lodge and North Rapid Civic Association. Bea also loved doing arts and crafts. She spent most of her retired days volunteering at Minneluzahan Senior Center. She loved being surrounded by her family and friends. 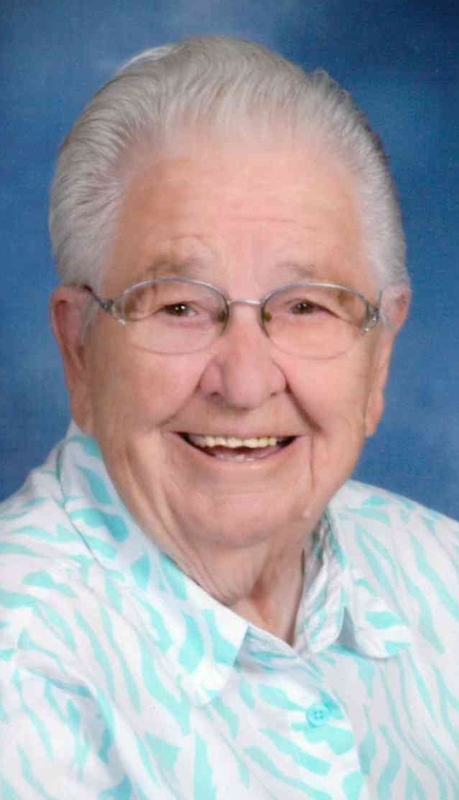 Bea will be greeted in Heaven by her husband Grant, her parents, daughter Shirley Beick, granddaughter Amanda Beick, brothers Lyle Blare and Alvin Simmons, her sister Isabella Blare and brother-in-law Jack Johnson. Her many blessings in life were her children Jim (Alice) McCoy, Joyce McCoy, and Frank (Kay) McCoy; 12 grandchildren; 17 great grandchildren; 5 great-great grandchildren; siblings, Doreen (Linn) McCoy, Earl Simmons, Elda Johnson, Vernon (Donna) Simmons, Elmer (Sharon) Simmons, Walter (Lucy) Simmons and many more relatives and friends including Bea’s special friend Vera Morgan.